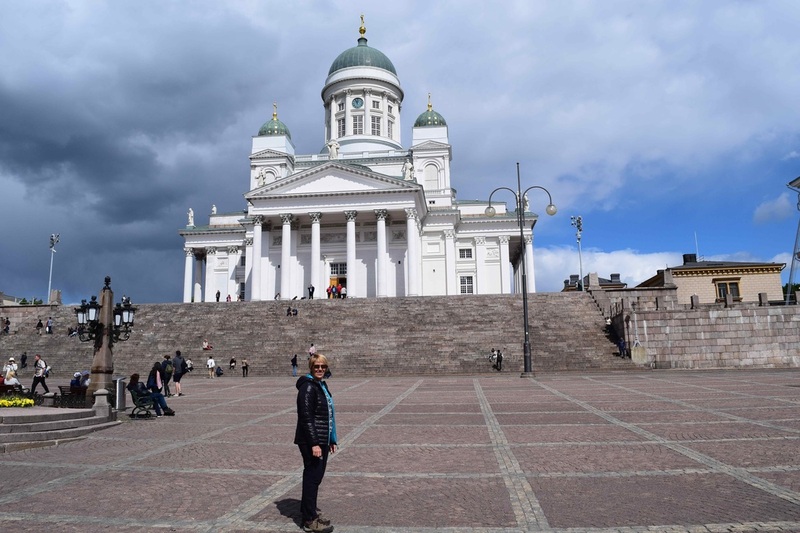 A nice easy ferry crossing, (about two and a half hours), saw us and the bikes dropped in the middle of Helsinki, and a short ride from there got us to the bnb we had booked for a couple of nights. We had our own kitchen, so some supplies from the supermarket sorted out our meals. 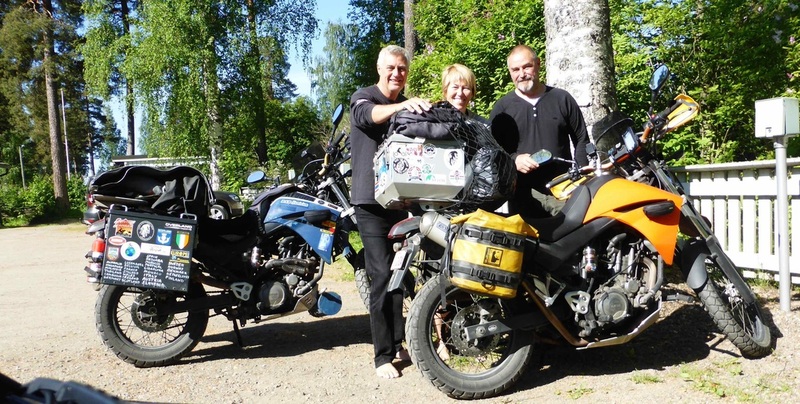 We had fuelled up the bikes before we left Estonia, (fuel is around 35c per litre cheaper in Estonia), and also bought some wine with us, couldn't afford to drink over here. A glass of chardy is about $16 aud in a cafe here! Sunday saw us in the city doing the now standard walking tour, and having a look around a few sights. At the end of the tour, a very strange dude started harassing the guide, filming everything with his phone, so a couple of us stepped in between them and shepherded him away. Very unusual, don't know what that was all about. I tried to buy some road maps for Russia, but no luck, will have to try when we cross the border. Part of the harbour. 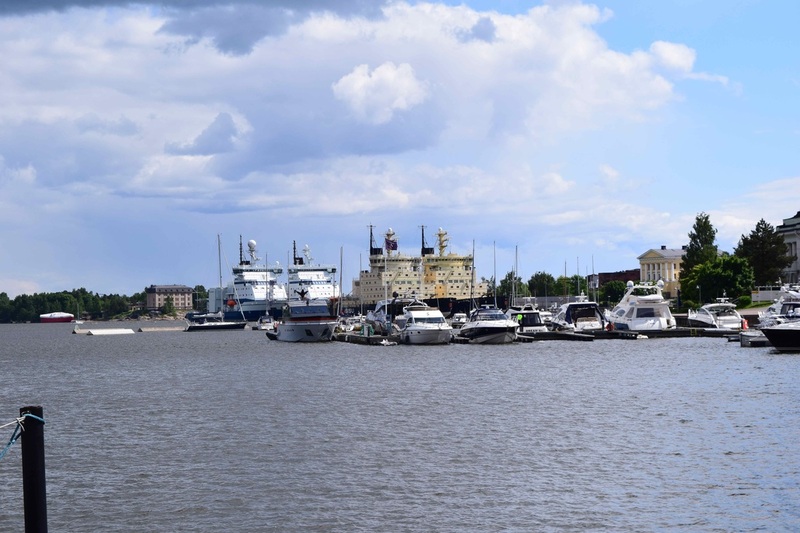 The two large white boats, and the two bigger yellow boats in the background, are ice breakers, used to keep the harbour clear and the ferries running in winter. Weeks of -25 degrees are common here in winter, so it often freezes over. 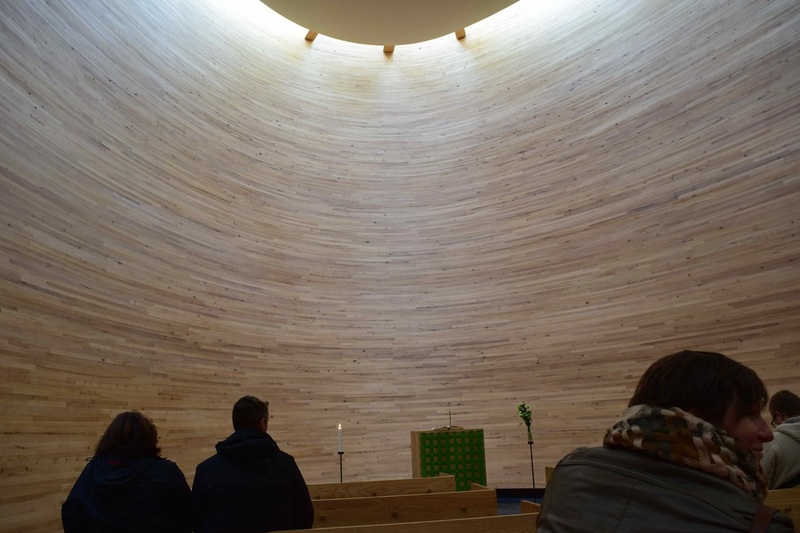 Inside the Kamppi Chappel, a weird looking oval wooden church in the middle of Helsinki. Left around 11.00am, sunny when we left, but getting colder, around 12 degrees, and clouds building up. Happy we had heated grips. It was a major road, double lane for a long way. Got to Lathi, and were looking for Ace Corner Cafe, when we met Tomi on his Harley who showed us the way. 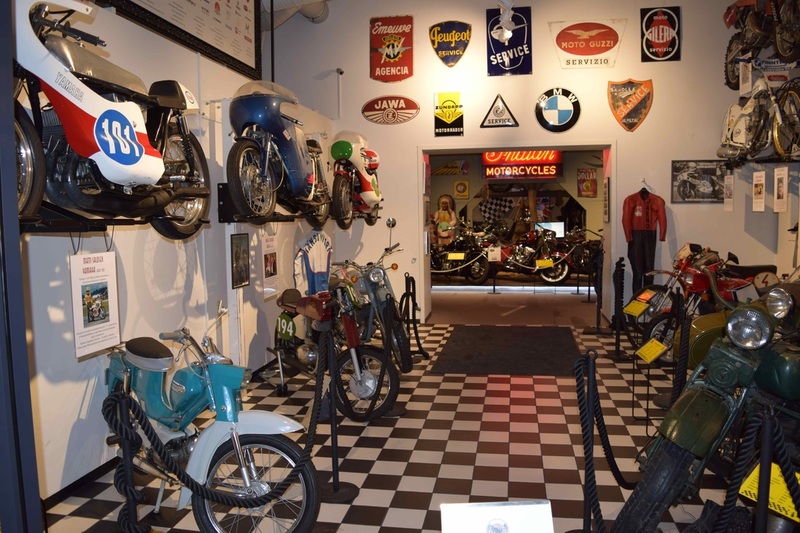 Great spot, with a big motorcycle museum, really well done. A small part of the collection of bikes in the museum, very well done. 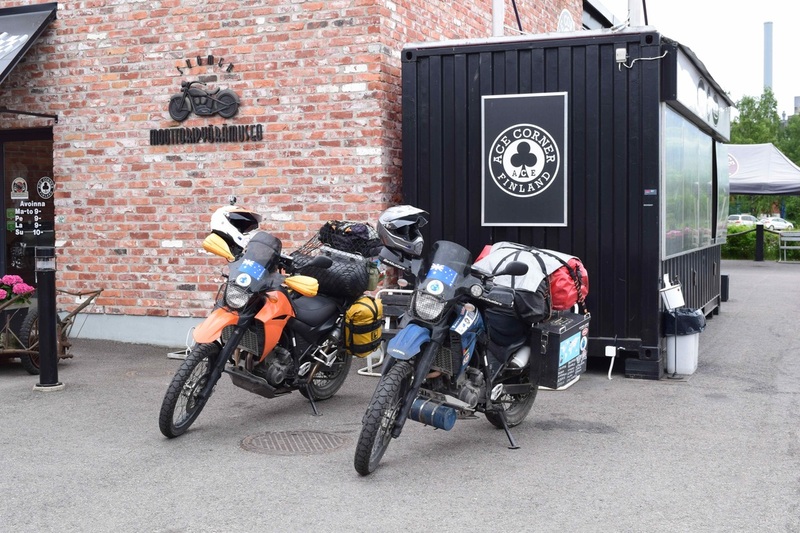 After a coffee, and a chat with Riku Routo, the owner, we left with Tomi to find a cobbler, as the sole was coming off one of Lyn's, boots, and we were lucky enough to get it fixed on the spot. From there a cold ride up to Mikkelli, then to Varkas, it seemed to take forever to get there. We met up with Sakke, who is involved with speedway, and does a lot of work on the track. A very helpful guy, had dinner with him. He also found some accommodation for us at a great price, thanks Sakke. He showed us around the town, including the very impressive lock that controls the water level and allows the boats to get into and out of the lake, as well as showing me how to use Garmin Basecamp. I had always found it clunky and hard to use, so I gave up on it, but it's not so bad now Sakke has given me a few clues on it. 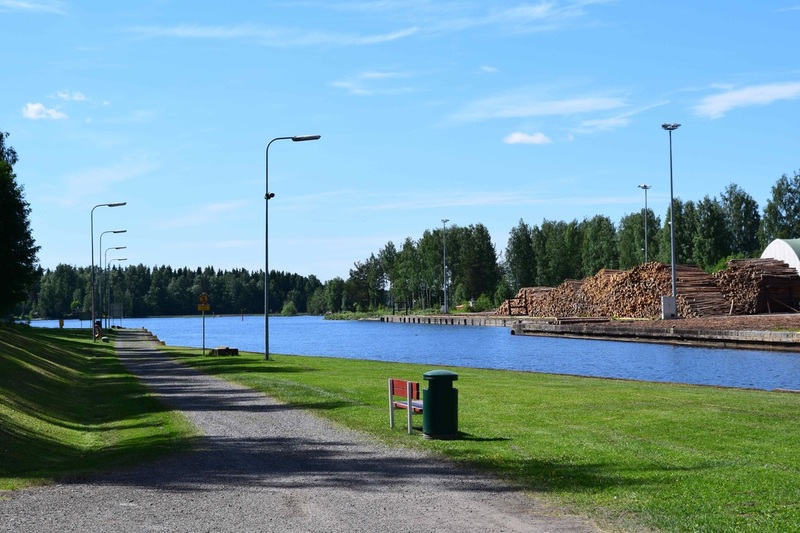 Where the lock joins the lake, the piles of logs on the opposite side of the canal are transported by large boats just small enough to fit in the lock. 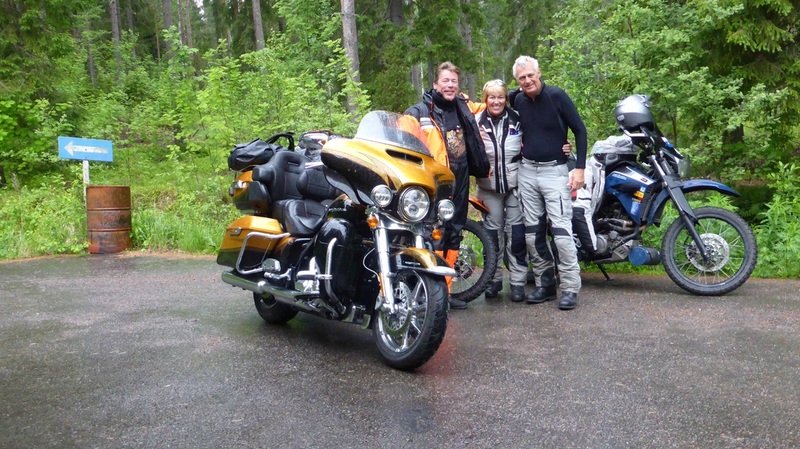 Easy day, riding just over 120 kms to Savonlinna, where we were meeting up with Tomi again, he is a member of Sabre M.C. who have a clubhouse in town. Tomi was riding up there to catch up with us again, and staying the night in the clubhouse, and we were invited to stay as well. We met some of the other members, good bunch of guys, thanks for your hospitality fellas. The ride over was very pleasant, nice small roads through some of the hundreds of lakes in the area, including a ferry ride across one of them. Weather was good during the day, cold but no rain, although it did rain at night. With Tomi outside the Sabre M.C. clubhouse, getting ready for a wet ride to the Russian border.